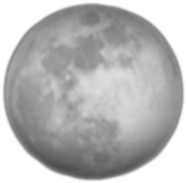 Blue Moon – July 31, 2015 – 3:45 A.M.
July brings two full Moons. Is one a Blue Moon? July 2015 brings us two full Moons in the same calendar month. But which is a Blue Moon? And why is it called a Blue Moon? There’s been a lot of hype. Get the scoop here.